Missouri FFA has had a rich history with the American Star Awards program, with winners in the Star Farmer category dating all the way back to 1932. FFA members with exceptional supervised agricultural experiences (SAE) are eligible to receive the Star Farmer, Star in Agribusiness, Star in Placement or Star in Agriscience awards during the National FFA Convention and Expo each year. Winners from the state competition advance to compete nationally among other elite FFA members from across the nation. Missouri FFA Todayrecently caught up Scott Hill and Derek Lowrey, both past recipients of American FFA Star awards, recognizing the success of their supervised agricultural experiences (SAE). For Hill and Lowrey, much of that success during their FFA careers can be attributed to perseverance, hard work and dedication. Read on to learn more about their award-winning projects. A former member of the Miller FFA Chapter, Scott Hill received the American Star Farmer award in 2005. Hill originally began his SAE project with just a couple steers, which he soon sold and took up riding and breaking colts. Over his high school career, he expanded his diversified project to include nearly 40 horses, more than 100 head of cow-calf pairs and 200 head of roping steers. Hill developed the project mostly on his own. Growing up, Hill’s family didn’t have a big farm, but he had other plans. He set a goal to have a large farming operation, however he didn’t have the means of beginning without financial assistance from the bank. Hill’s project became successful, bound by daily hard work and determination. The uniqueness of such a diversified SAE is what made Hill stand out in the national competition. Hill remembers being told to never be afraid to take risk, and he advises FFA members to do the same. Today, Hill runs 700 momma cows, backgrounds calves and recently opened a feed store in Mount Vernon. He credits a lot of his success today to the lessons he learned during FFA. Derek Lowrey had a completely different kind of SAE project, which led him to receive the 2008 American Star in Placement award. Lowrey, a former member of the Trenton FFA Chapter, worked on a neighbor’s dairy farm, just five miles from where he grew up. He began working on the dairy his freshman year, doing odds and ends. 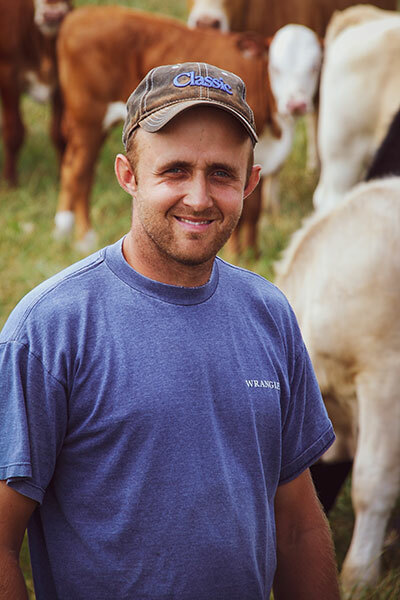 Lowrey eventually started working full-time on the farm as he became more familiar with the operation. Aside from working on the dairy, Lowrey farmed with his dad in high school. 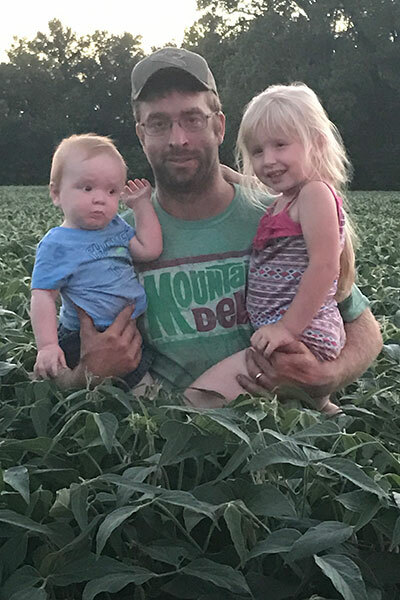 He started renting a few acres his junior year to expand his own row crop operation, along with backgrounding beef cattle, which is what he continues to do today. Lowrey’s success with a placement SAE project is due to his willingness to learn and a patient attitude. He advises FFA students to be open minded and focus on what is best for their particular project. —adapted from an article written by Alexa Nordwald for Missouri FFA Today.